OoVoo is an iOS and Android now available now as a free download from the Google Play and Apple App Store without any added in-app purchases. 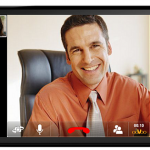 OOVOO is a text and video chat system similar to Google Hangouts and Skype. You will be prompted to create or sign into an account, when you first open ooVoo. Creating an account can easily be done through social media profiles, although users can accomplish creating a proprietary account just as fast as connecting a social media profile. 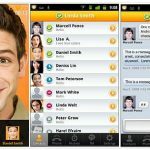 OOVOO will import contacts from the device, once logged in and social networks will easily list contacts that are also using ooVoo. At this very point, users who don’t have friends using ooVoo can easily invite them, and those that are connected will show up on a particular contact list. The video and sound quality of ooVoo app is good and mostly on the same level with the competition. Users can arrange chats with up to 12 people at the same time while connecting with others and getting into a call is a breeze. The basic functions of ooVoo don’t offer anything that other services do not, but it does the whole thing just as well, plus flawless interaction between PC and mobile users. OoVoo’s focus on Facebook connectivity is where the app starts to distinguish itself from others. When users let ooVoo connect with their Facebook contacts, all the list of their friends is added to their contacts. In both text and video chats, ooVoo allows for perfect interaction with Facebook users. 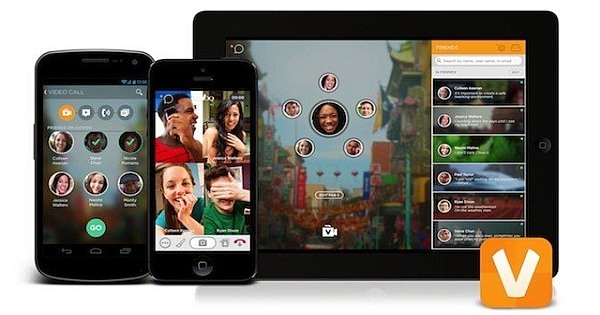 OoVoo app text chat is simple and competes for ease-of-use with the Messenger app of Facebook. On the other hand, video chatting with Facebook users above ooVoo also works well. Chatting by making use of Facebook contacts maintains the same quality as direct ooVoo calls, but expands on the number of available contacts to a great extent. Users, who make use of Facebook’s video and text chats often, will discover that ooVoo is an exceptional option. OoVoo app also provides a few other features, while calling Facebook and other ooVoo users is the main center of attention. The instant messaging system is available to build into ooVoo. Both ooVoo and Facebook conversations work the same way, but the fact that ooVoo lets users place calls directly to a phone number is what makes it stand out from the competition. Depending on the location of the number and whether or not it is a mobile device, the price of calls ranges greatly. Although the prices are competitive with other services, however, they are not low enough to draw away users from what they already use. 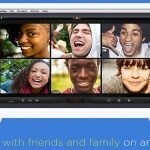 OoVoo is a great application that offers the same functionality and merges it with easy access to video calls for users who love connecting on Facebook Messenger. All about the app is done well, but the fact remains that none of its features stand out enough to draw people away from applications such as Google Hangouts or Skype. Those who use ooVoo app will find it to work wonders for their need, while users on other platforms won’t be missing much.